As a kid, I went through a phase where I obsessively read Holocaust novels. Thinking on it now, it all feels pretty morbid, but I think there was something about trying to understanding those outer boundaries of the human experience that fascinated by little brain. I never really considered that I would one day travel to see the place where so many of those stories had taken place. 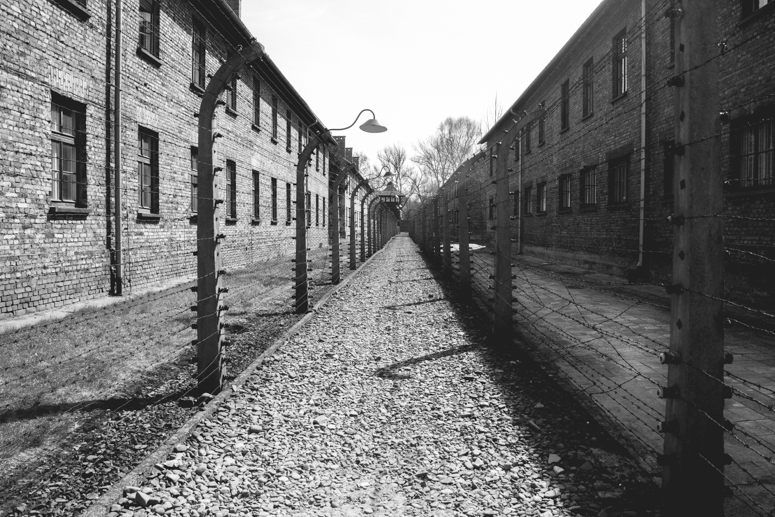 When we went to Poland, Jon and I decided to take a day and travel to Auschwitz. I wasn't really sure what to expect. If anything, I guess I anticipated that heavy, sad feeling you get after an emotional film. My experience, however, was quite different. Our tour started with some of the less iconic, but nonetheless informative, buildings. As I listened, I felt myself grow quiet. Jon kept trying to talk to me, but I didn't really feel like responding. I just kept shrugging until he got the message, and let me be. We went on, and our guide showed us photos of Jews shoved into trains, and maps of prisoners homes that spanned Europe. He described their terrible rations and cramped living quarters. He explained the psychological mastery of the German soldiers, who realised the easiest way to carry out their genocide was to force fellow prisoners-- fellow Jews-- to beat and kill each other. As the tour got on, I grew more and more tired. 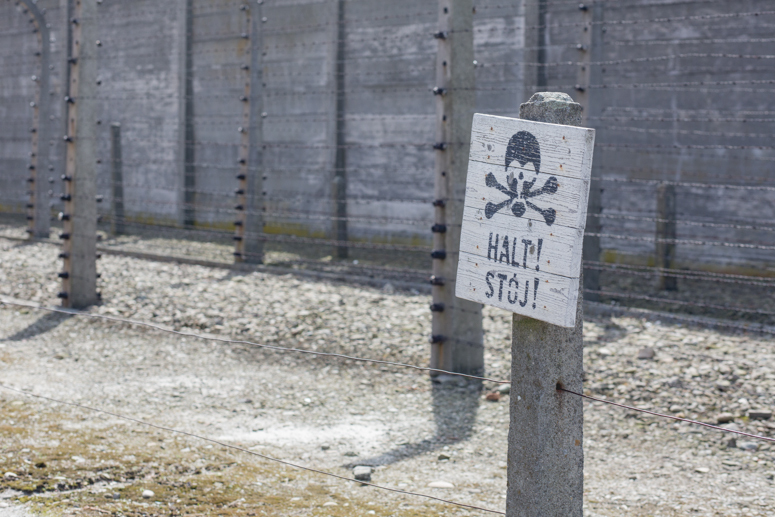 Our guide explained that the majority of individuals brought to the camp were immediately sent to the gas chamber. Nearly everyone who arrived went there except the very most strong and able. They showed us life-sized photos of confused children being ushered like sheep toward the slaughterhouse. The photos made me feel worn, like an old grey dishrag. I felt over-wrung and exhausted. Then our guide brought us down a hallway. From outside the door I could see a long room with windows tinted a light fuchsia pink. A wall of glass partitioned off a third of the room, and on the other side were huge mounds of matted brown hair. 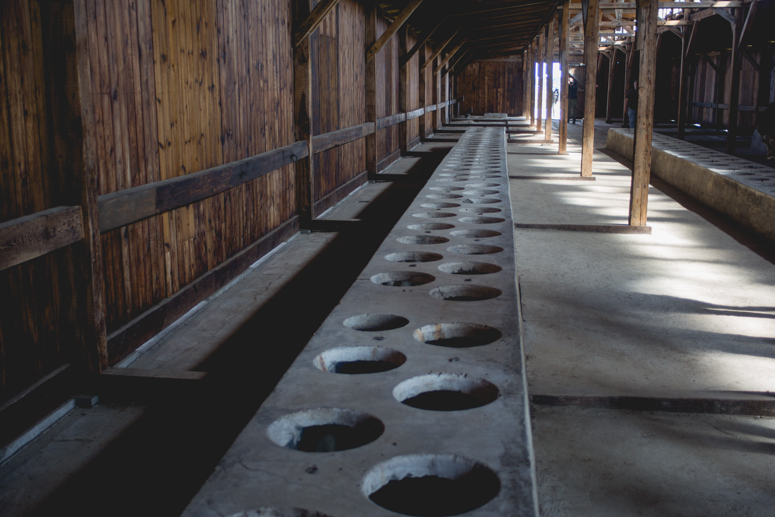 The guide told us that after the gas chamber, a fellow prisoner would remove the bodies, strip them down, shave their heads and put the bodies in the incinerator. The hair was sent to be used in German mattresses. Seeing the sheer volume of hair made me feel ill-- to the point of being physically nauseated and weak. I reached out holding on to Jon's arm as we rounded the far end of the room. As we came back, we passed a glass case, and a tiny white crocheted onsie caught my eye. In a flash, I imagined an excited new mommy enthusiastically crocheting the outfit for her unborn baby. I imagined myself her her place. How thrilling it would be to FINALLY hear that we were pregnant and how I'd probably be doing the exact same thing. How could she ever have known-- while she sat there crocheting-- that a German soldier would see her precious babe, snuggled up in that little labor of love, and rip him from her arms? How could she have known his short life would be end in the 20 minute agony of a Nazi gas chamber? I felt my heart burst in agony. Huge, painful tears welled up and dropped out. I looked around. No one else was crying and I felt embarrassed, but I couldn't hold it in. I tried talking myself through it. I knew where I was, I knew I was in no danger, but the panic wouldn't stop. I just kept anxiously ringing my hands and praying the tour would let us outside. JUST GET ME OUTSIDE. When we finally did leave the building, and I felt the sun on my face, I calmed down a bit. But the panic in my stomach would not go away. We walked through the camp... past the courtyard with the firing squad... past the place where where they used to hang people... past the barbed wire gates. Then there it was. The gas chamber. Jon was now very concerned about me. I was dizzy and disoriented. Our guide proceeded to explain how the prisoners would be led in to the chamber and given bars of soap so that they'd think they were getting a shower. Once inside the doors would lock and Zyklon B, a gaseous poison was dropped in from the ceiling. The Germans waited outside for the next half hour while dozens of innocent people screamed in agony as they died slowly and painfully. The tour guide started moving us inside. Jon stopped me and asked if I was sure I wanted to go inside. It was in that moment, staring down the door of the gas chamber, that I just went numb. My emotional bandwidth completely topped out. There was nothing. I no longer had the emotional wherewithal to comprehend what was in front of me. I silently followed Jon. We walked through a small hallway to a room that look like dingy basement. Little bits of light shown through the holes in the roof where the Nazi's would have dropped the poison. I followed him in the crematoria next door, where we walked past long cylindrical furnaces, where people's loved ones were turned to ash. 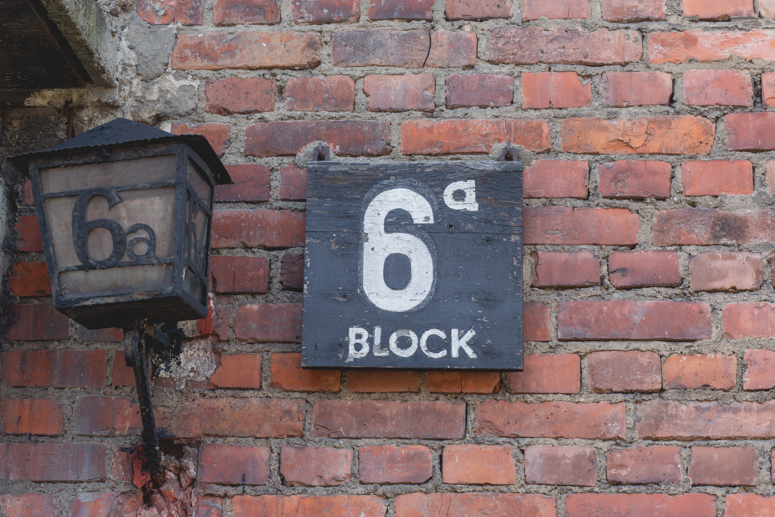 And then, just like that, the tour of of Auschwitz I one was over. As soon as they took us away from that place, normalcy returned. I ate a cookie. I made a joke about an ugly pigeon. I can honestly say I've never in my life experienced anything like it before. 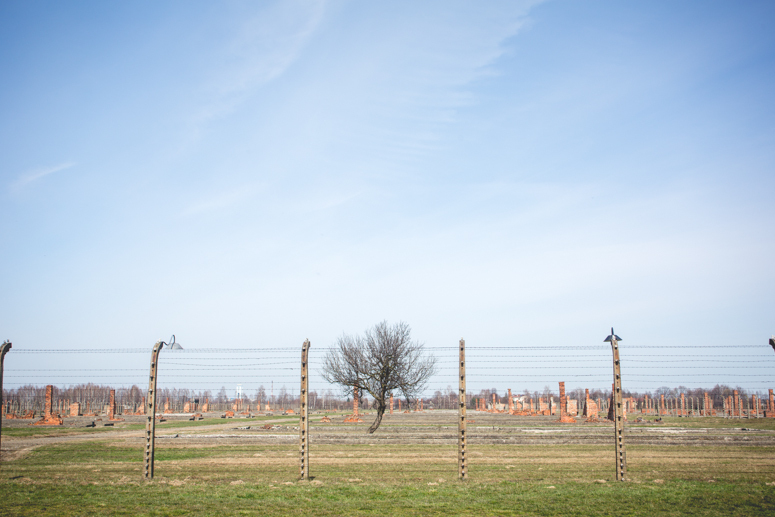 When you consider how many people were at Auschwitz, and the emotional intensity they experienced, I don't think it is unreasonable to think that some of that energy would be left behind. While I can explain the tears (which is pretty normal for me), the rest of my physiological response to Auschwitz was quite unexpected. I hope I can impart to my own children one day, the things I learned at Auschwitz. Hopefully, it will help prevent atrocities like it (that are even today still occurring) from destroying our future.